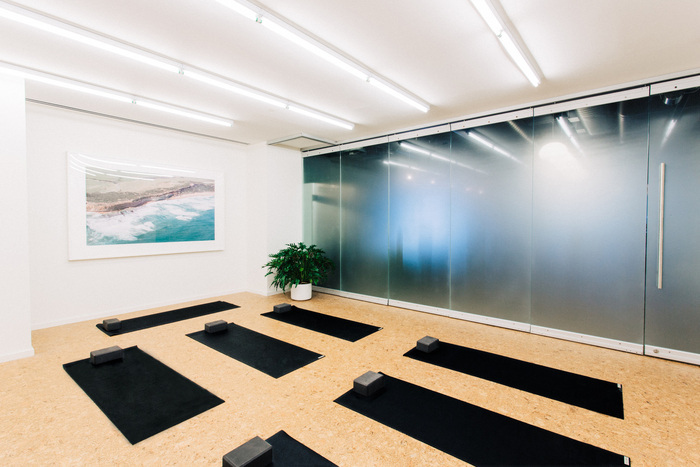 Primary is a new coworking space in NYC which blends health and wellness into the workplace experience. 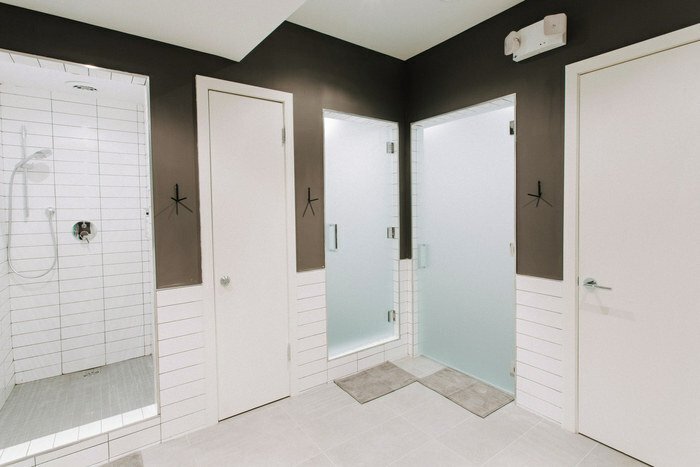 Primary’s flagship location, at 26 Broadway, features a 600 sq ft fitness studio and 30+ classes per week (yoga, meditation, functional fitness). There are 66 offices and 108 co-working seats with capacity to accommodate 324 people. There are plants integrated throughout the space, both for their calming and air-purifying qualities. Green walls, moss walls and formal arrangements will be found in every corner of the space (provided by local vendors Greensulate and Brooklyn Plant Studio). The space features original furniture pieces, bespoke light fixtures from Etsy vendors Lucent Lightship and Photonic Studio, and large-format photographic prints from Rich Stapleton, Creative Director of Cereal Magazine. Additional furnishings provided by Brooklyn millworker, Iron Oaks and custom designed office furniture by Primary Co-Founder Danny Orenstein. The space also includes a full-service cafe with espresso service from Stumptown Coffee Roasters, juices from Lulitonix and Pure Green, catered lunches from Dig Inn, in-house body therapy practitioners (massage therapist, chiropractor, acupuncturist) six private showers and changing room facilities and bike storage.